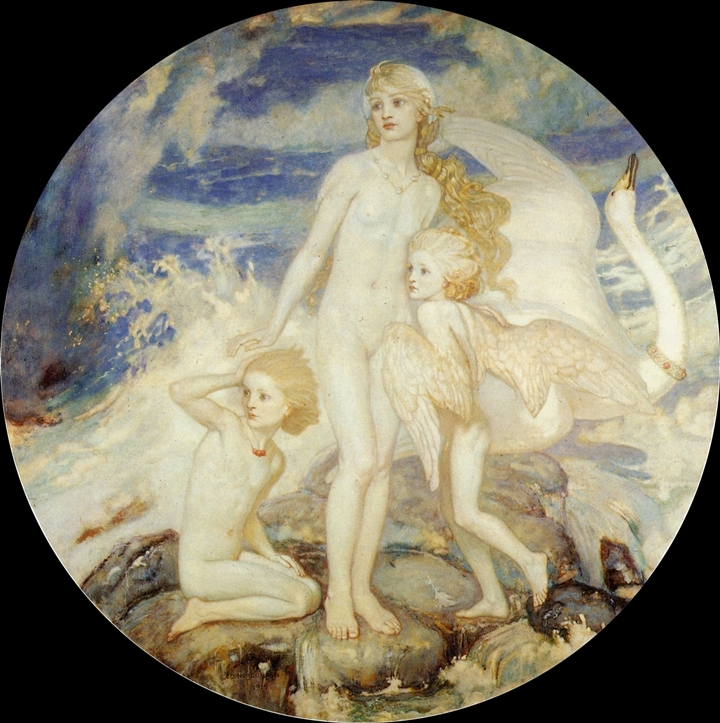 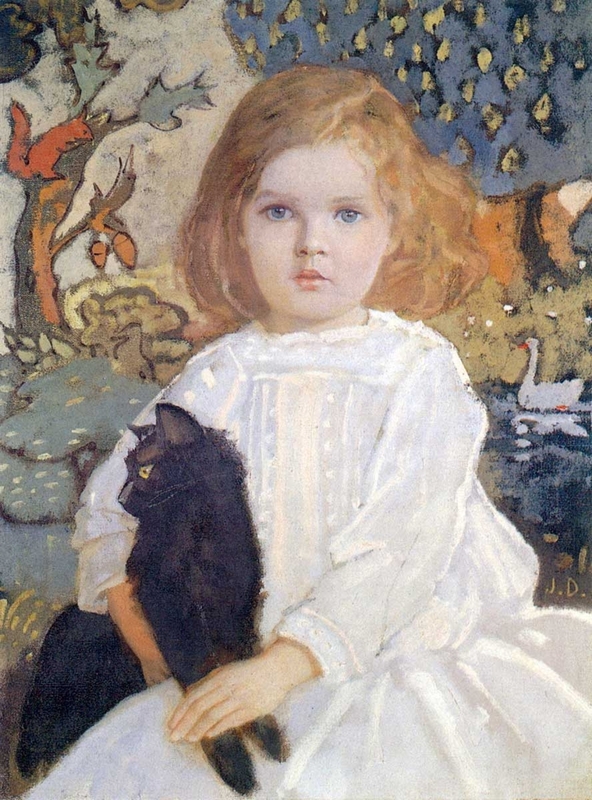 John Duncan [1866-1945] was born in Dundee, Scotland, the son of a cattle dealer, and was studying at the Dundee School of Art by the age of eleven, in 1923. 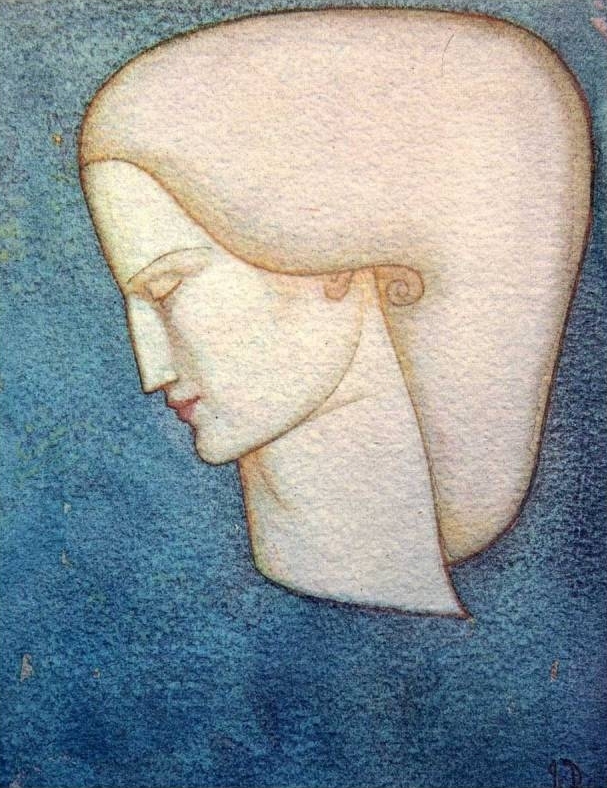 He was a great experimenter with techniques and much of his work is in tempera. 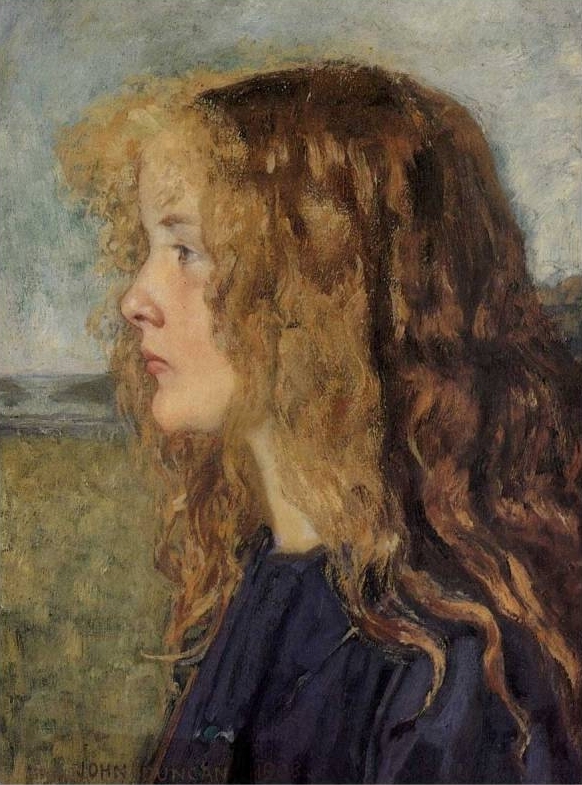 His subject-matter was rooted in the Celtic Revival and the Pre-Raphaelite tradition, but he also painted 'straight' landscapes. 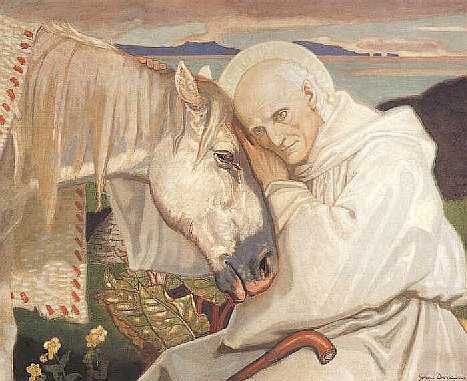 Many regarded him as a mystic, and he confessed to hearing 'fairy music' while he painted. 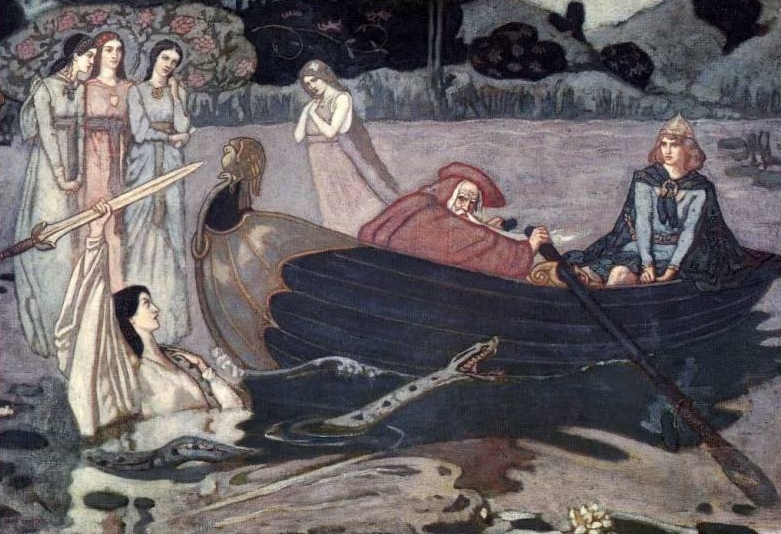 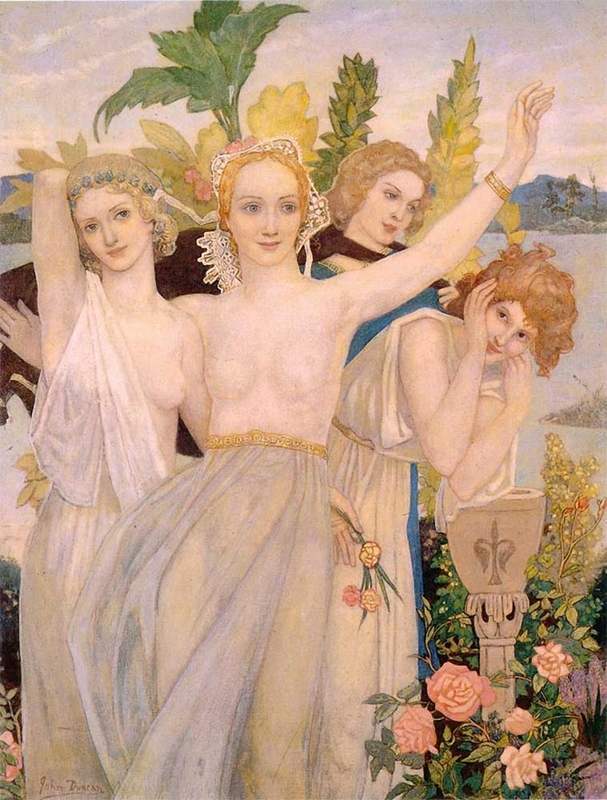 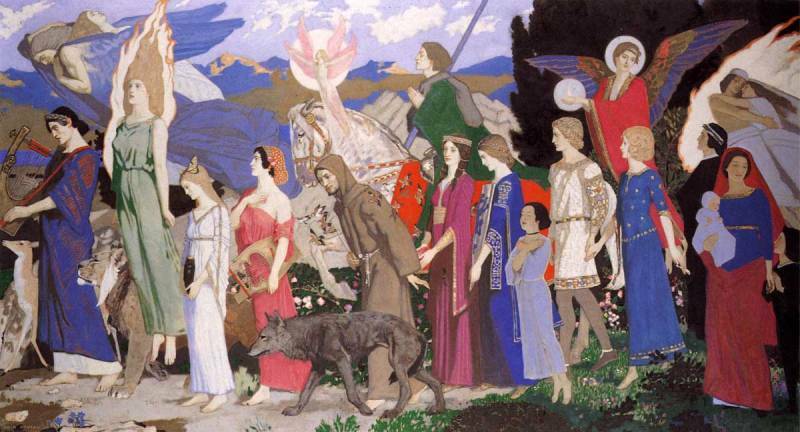 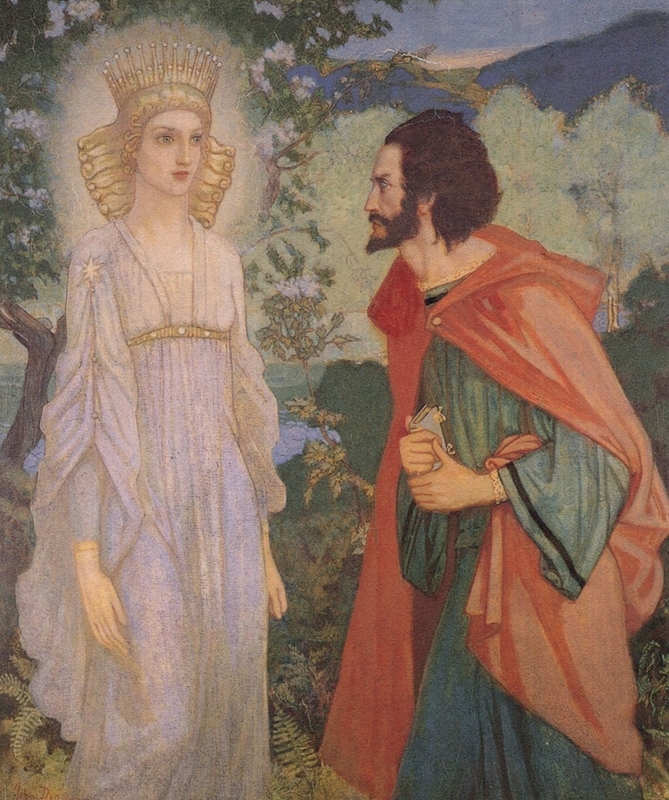 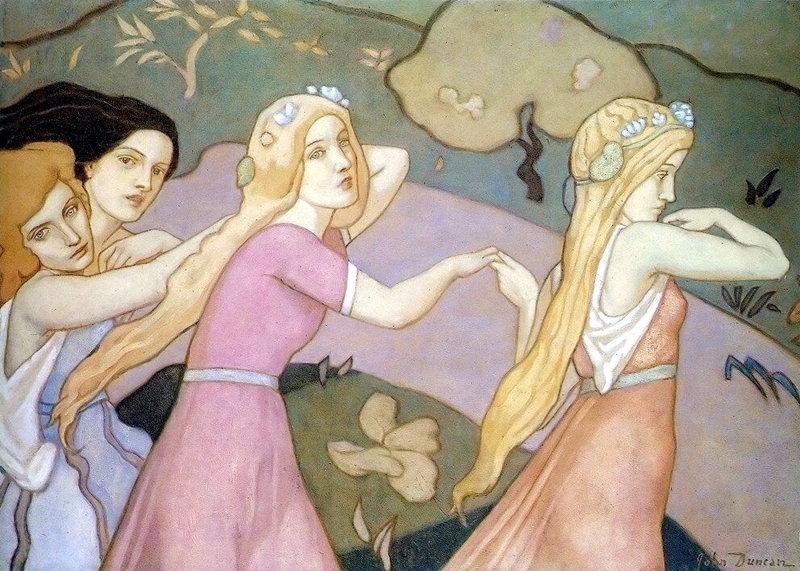 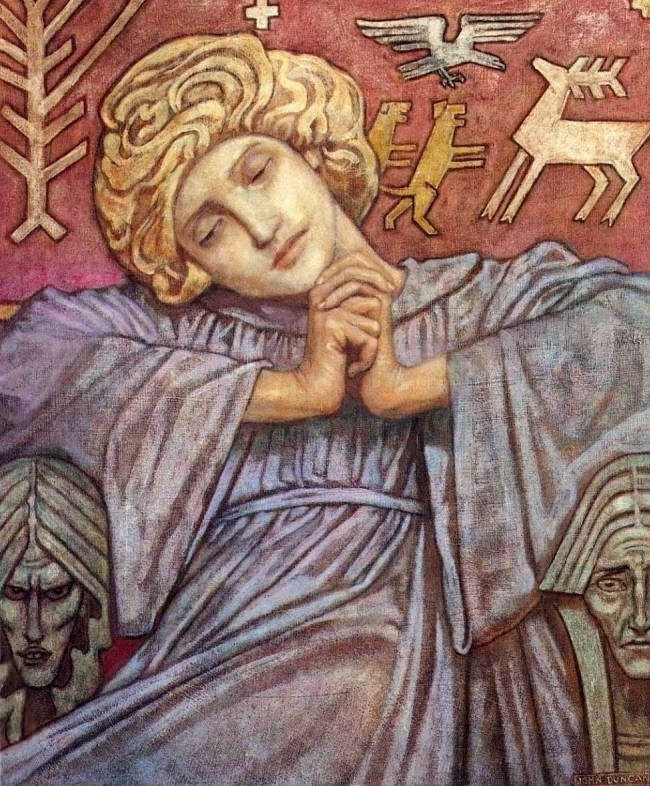 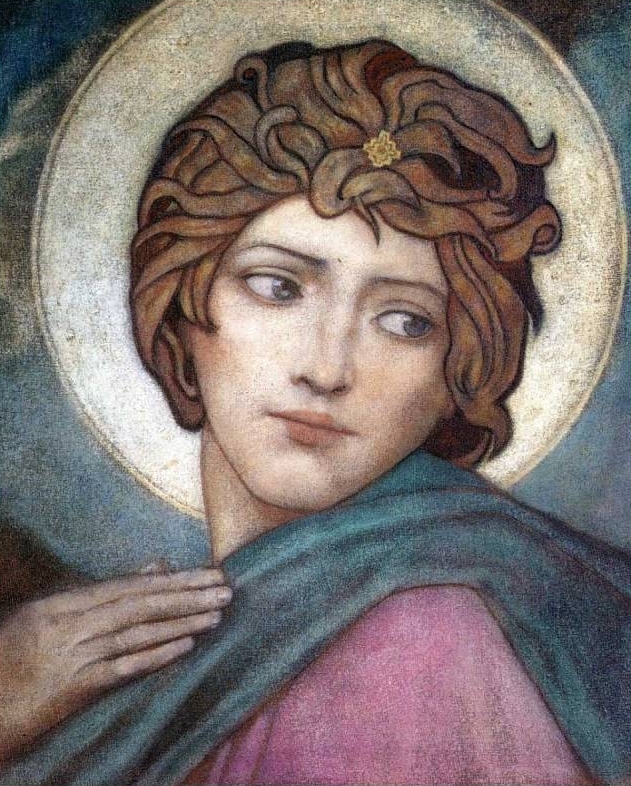 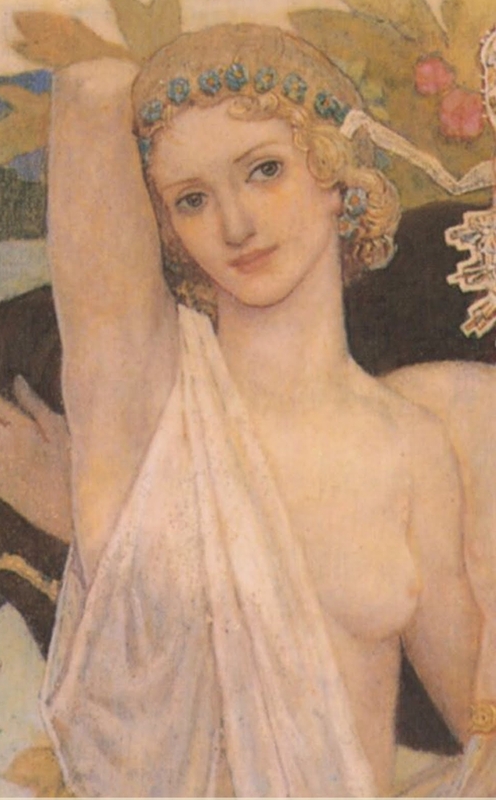 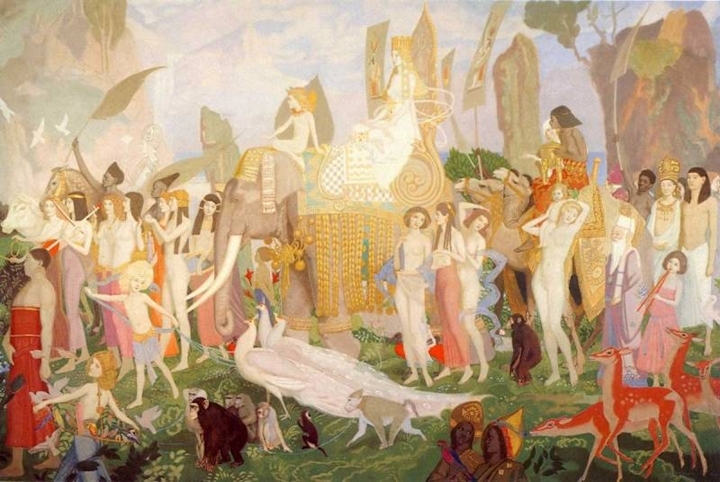 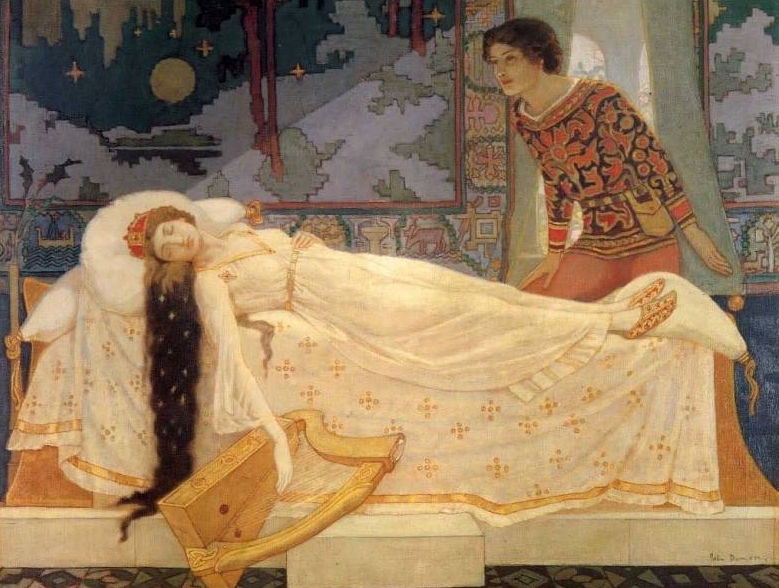 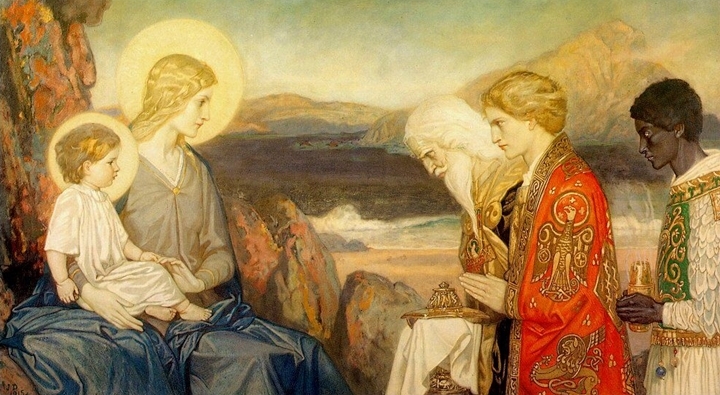 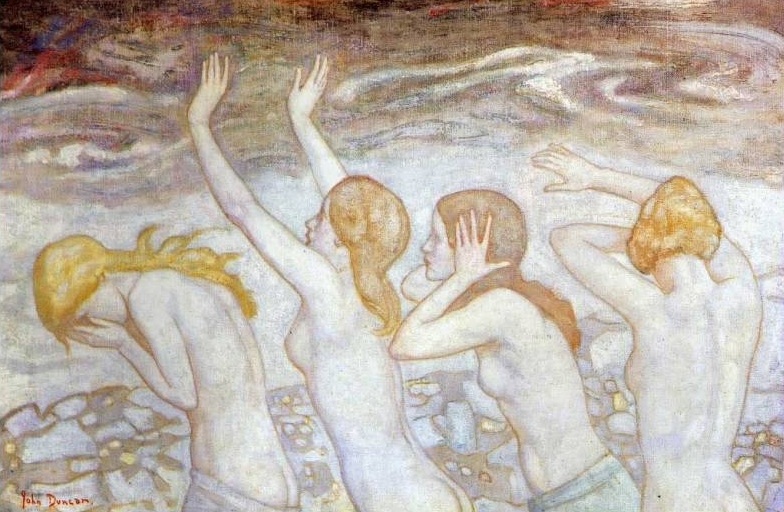 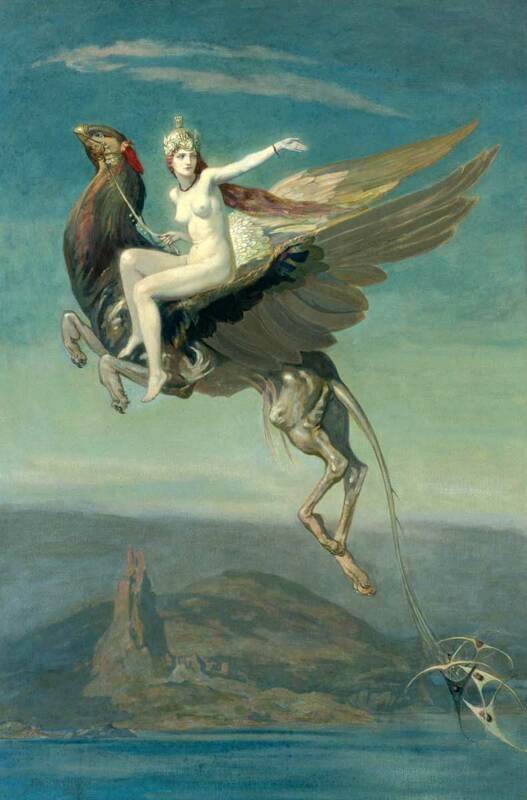 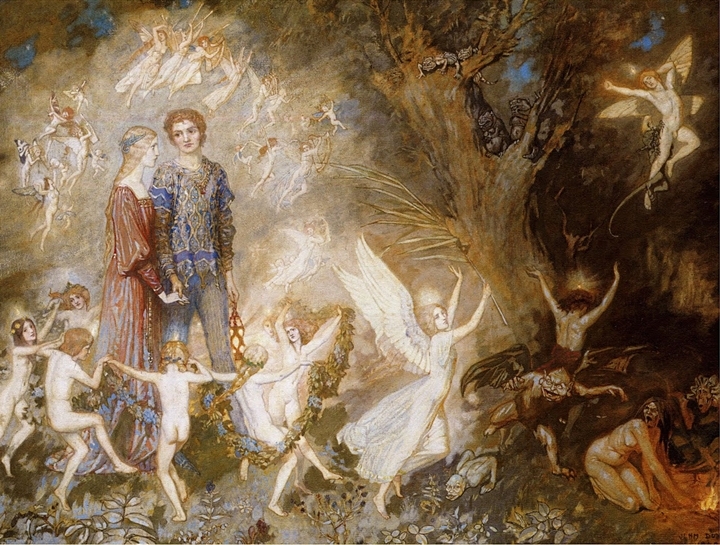 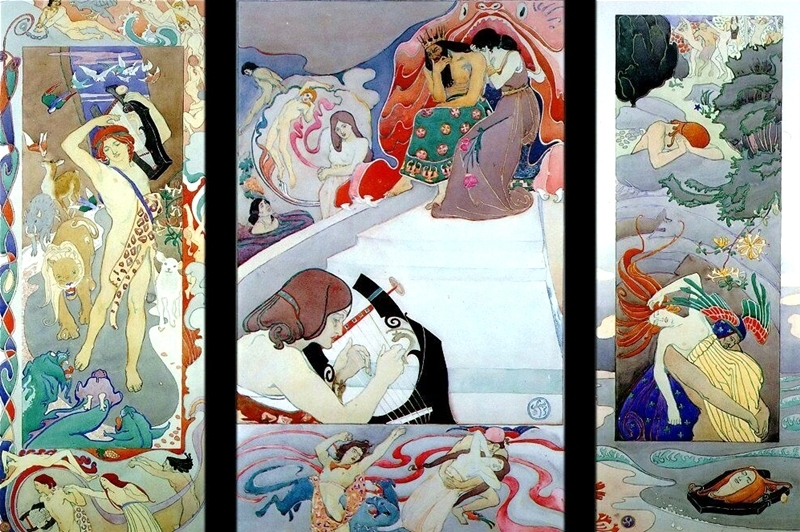 Although his work remains strongly rooted in the Pre-Raphaelite movement, there is a certain graphical quality which sets it apart from his contemporaries and likens it to Art Nouveau, while the subject matter is thoroughly Celtic Revival, he is generally referred to as a "symbolist" by art critics. 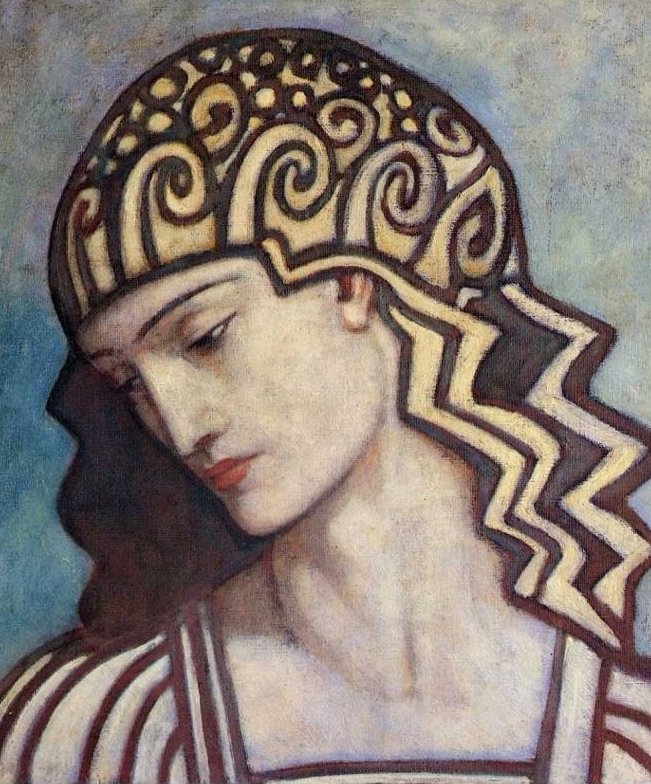 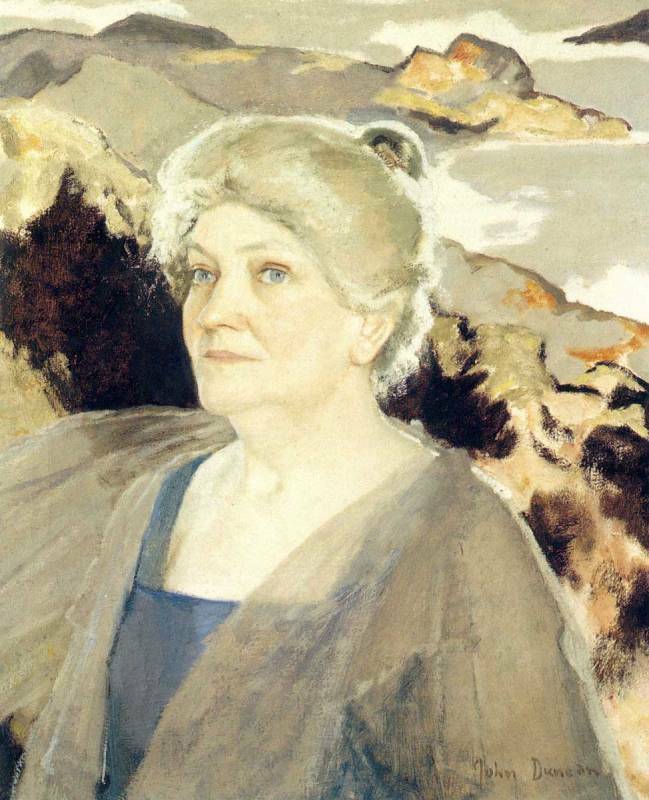 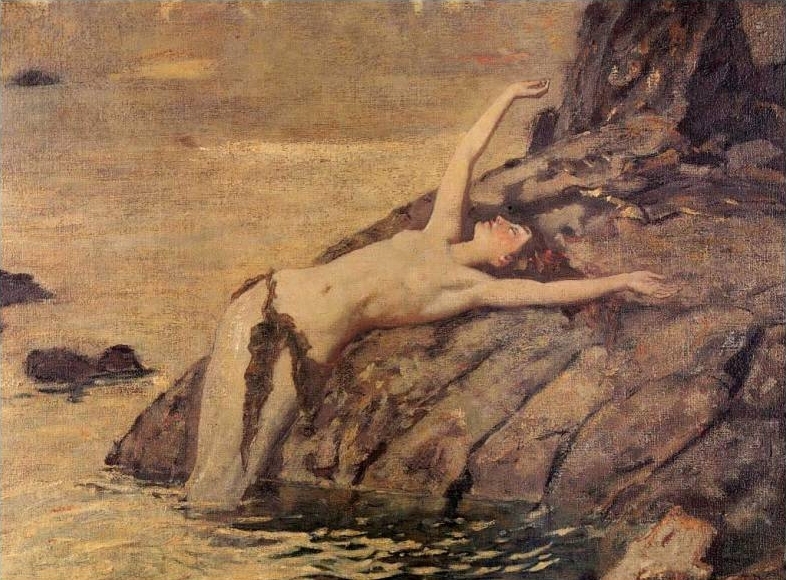 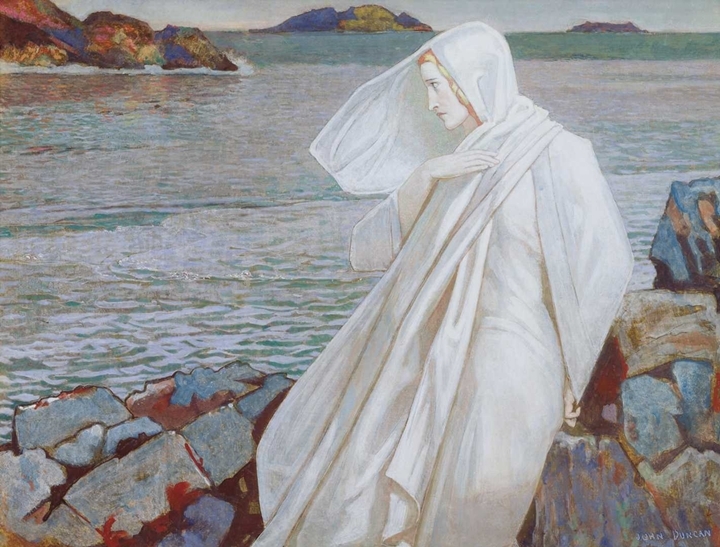 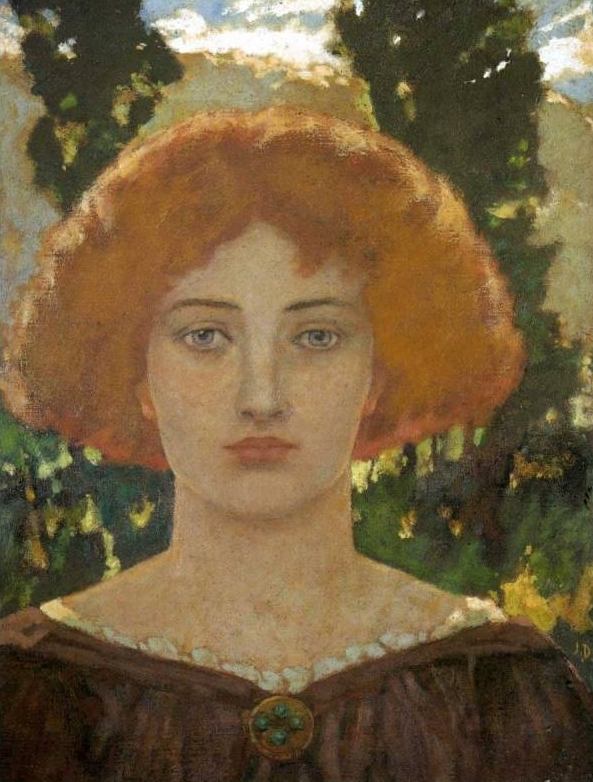 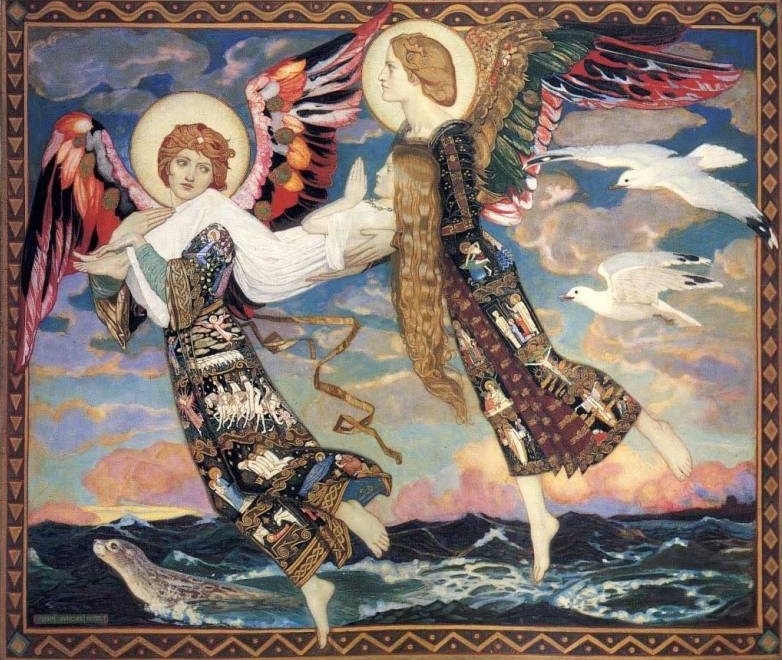 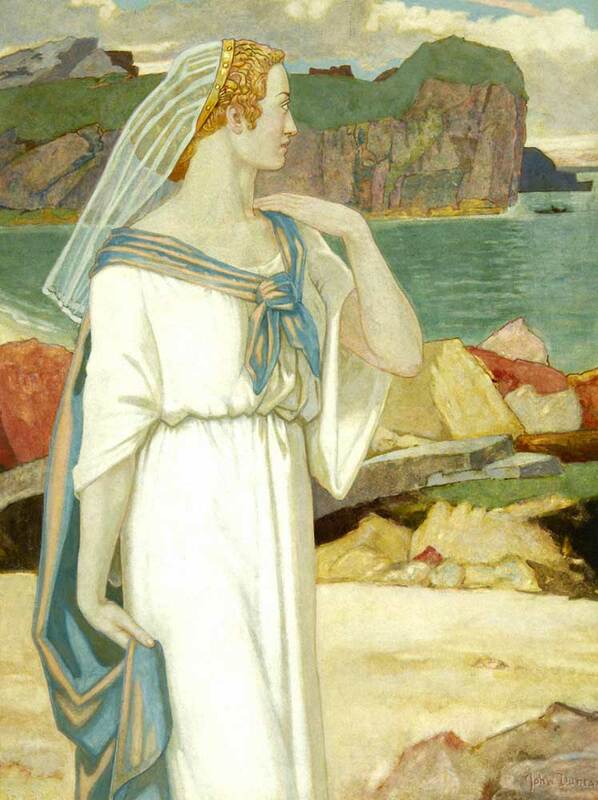 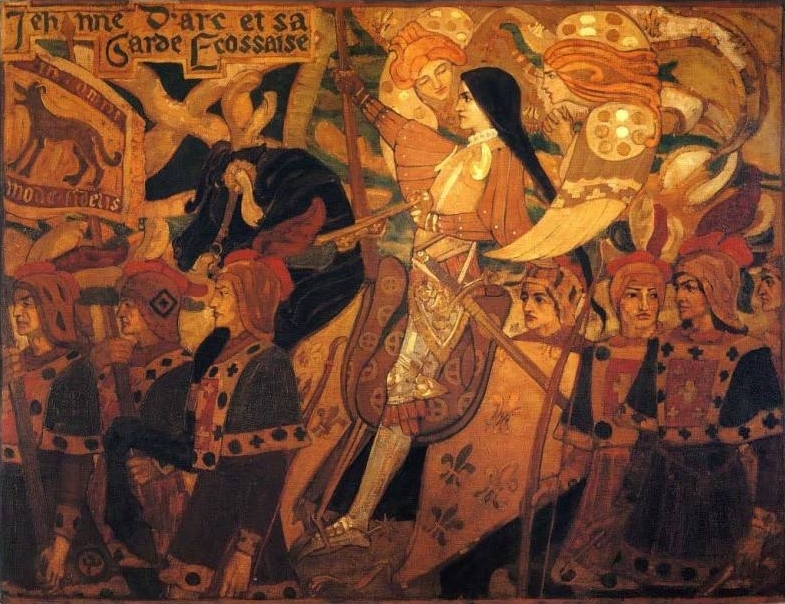 His interest in Celtic Revival was also shared by the Scottish singer Marjory Kennedy-Fraser; they eventually became close friends and Duncan painted her while on a trip to Eriskay in 1905. 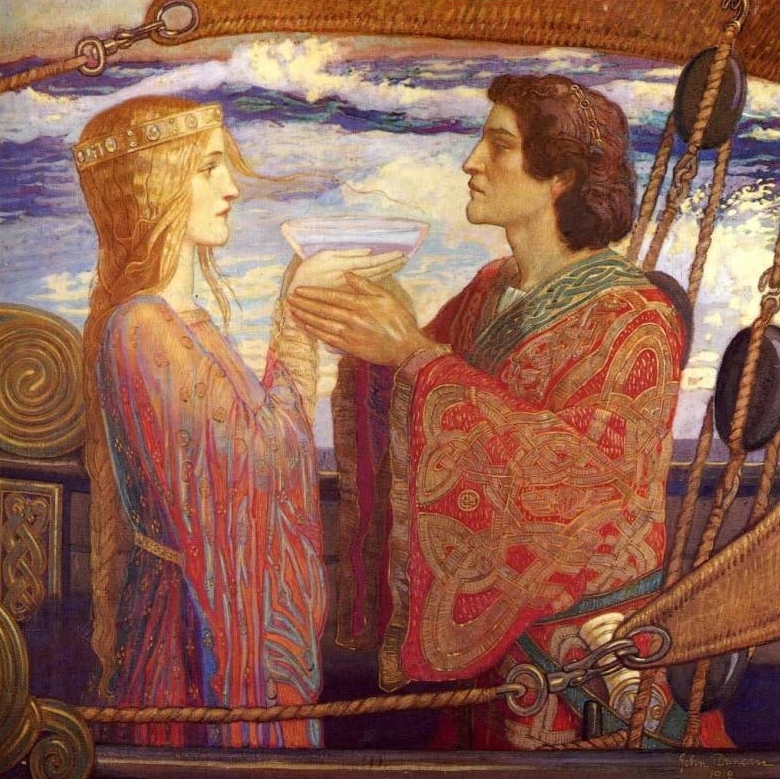 His dreamy, mystical nature led him to fall in love with a woman whom he believed to have discovered the Holy Grail in a well in Glastonbury and who later divorced him. 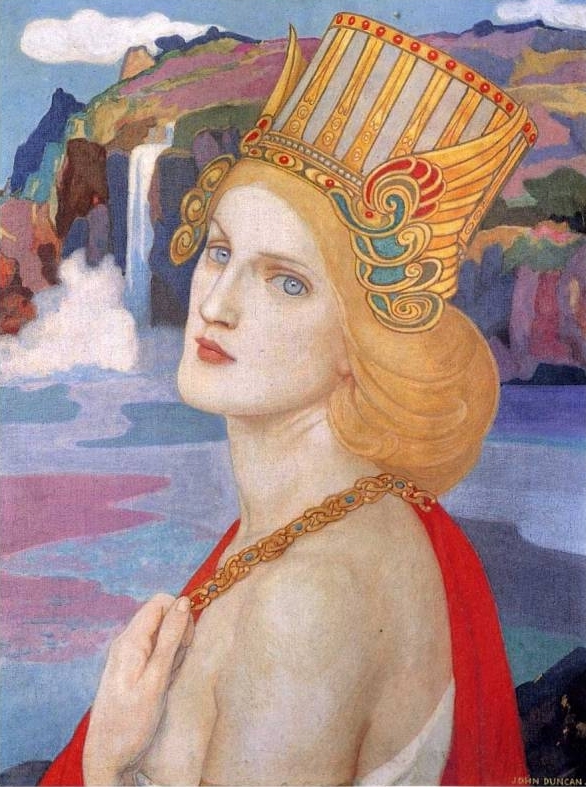 He never remarried and died in 1945.